Kerala Blasters FC defeated Delhi Dynamos FC on penalties to make it to the final of Hero Indian Super League(ISL) 2016. The game was stretched to extra time as ten-men Delhi Dynamos lead 2-1 after 90 minutes. In the penalties Delhi Dynamos faltered badly as all of their penalty takers - Florent Malouda, Bruno Pelissari and Emerson Gomes de Moura failed to convert from the spot. 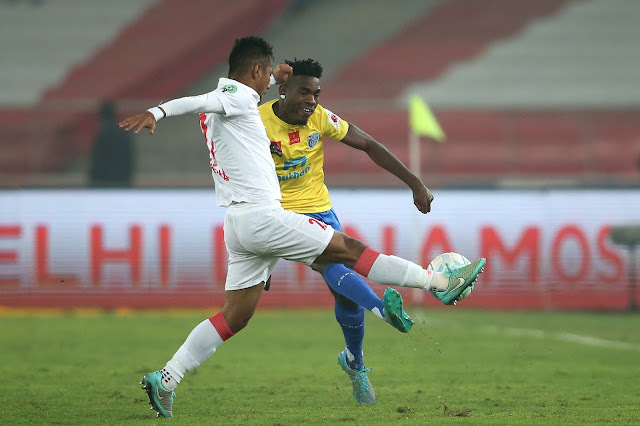 Kervens Belfort andMohammed Rafique scored for Kerala Blasters FC to seal their spot in the final. The Hero Indian Super League 2016 final will be a repeat of the opening edition of Hero Indian Super League(ISL) when Blasters and Kolkata faced each other, with Atletico de Kolkata becoming the eventual champions. The final is slated to take place on 18th December 2016 at 1900 IST.